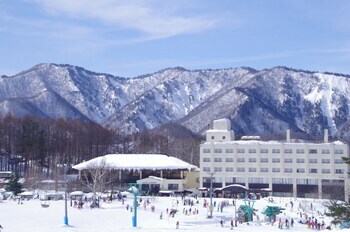 With a stay at Okutone Onsen Hotel Sunbird in Minakami, just steps from Yunokoya Onsen and Mt. Hotaka. Featured amenities include complimentary newspapers in the lobby, a safe deposit box at the front desk, and an elevator (lift). Planning an event in Minakami? This ryokan has 1722 square feet (160 square meters) of space consisting of conference space and meeting rooms. A train station pick-up service is provided at no charge, and free self parking is available onsite. With a stay at Hotel Ichibata in Matsue, you'll be just steps from Chidori Minami Park and Lake Shinji. Free self parking is available onsite. With a stay at Grateful - Hostel in Kyoto (Central Kyoto), you'll be a 5-minute drive from Kyoto Imperial Palace and 6 minutes from Nijo Castle. The front desk is staffed during limited hours.